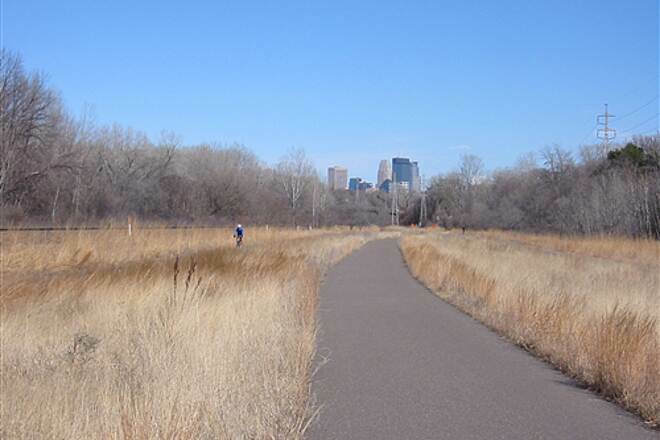 This paved trail links Minneapolis’s Warehouse District to both the Minnesota River Bluffs LRT Regional Trail and the Cedar Lake LRT Regional Trail in Hopkins. 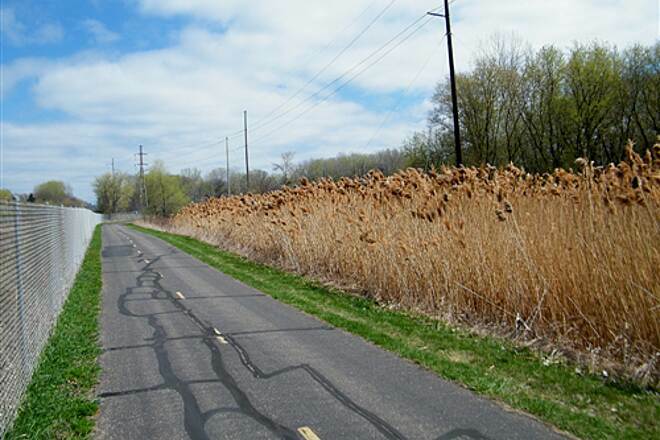 It also intersects the Kenilworth Trail as part of the Cedar Lake Loop and a trail spur of the Luce Line State Trail coming down south from Theodore Wirth Regional Park along the Bassett Creek Regional Trail. 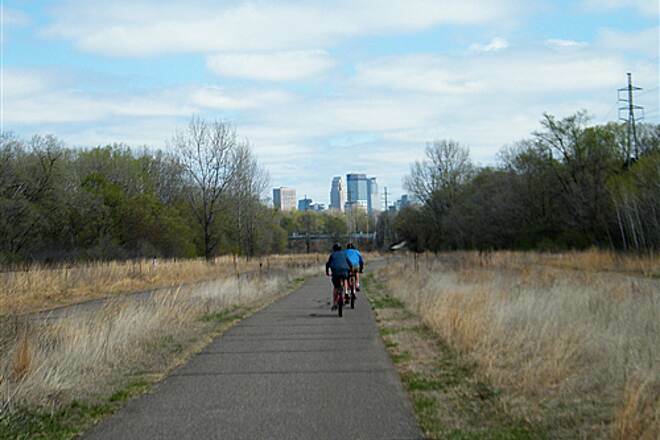 The trail is mostly urban at the eastern terminus at its junction with the West River Parkway, where the City of Minneapolis segment is most often called the Cedar Lake Trail. 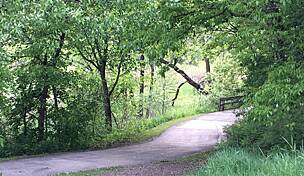 As it heads southwest, it passes a more serene landscape through Minneapolis’s wooded suburbs. 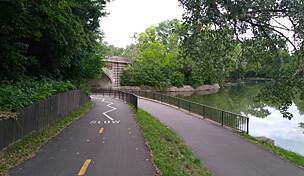 The trail also links many neighborhood parks along the way. 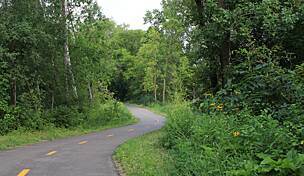 From St. Louis Park, where the trail crosses MN 100, to Hopkins, the trail is officially named the North Cedar Lake Regional Trail. A part of the trail actually consists of three separate paths: two unidirectional paths for bicyclists and a multidirectional trail for pedestrians. 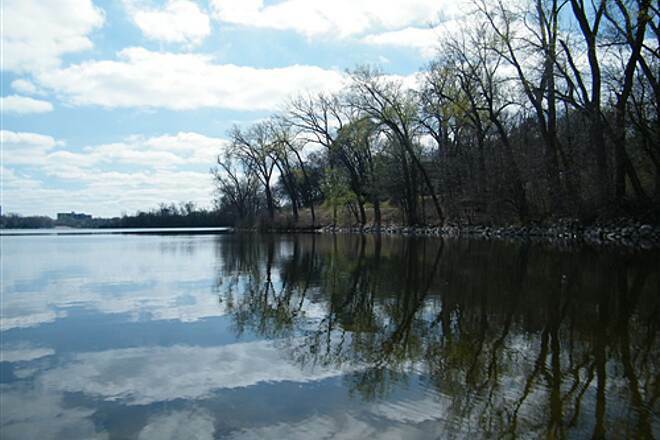 Near the trail’s midpoint, bikers and runners will pass the trail’s namesake lake. 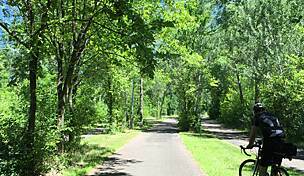 Just east of Cedar Lake, the Kenilworth Trail begins, which takes trail users through the ritzy Kenwood neighborhood to the Cedar Lake LRT Regional Trail. 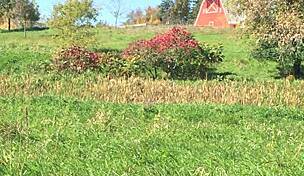 Some consider this to be the nicest part of the trail. 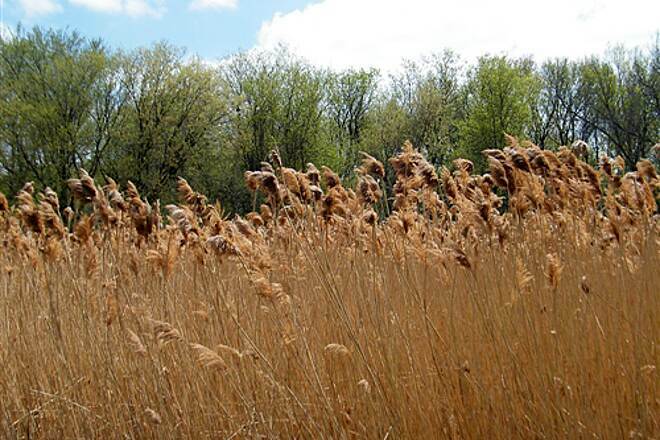 You can also pick up the Luce Line Trail where the North Cedar Lake Regional Trail passes Bryn Mawr Meadows Park to continue on a much longer journey westward. This eastern section of the Luce Line Trail opened in 2002. 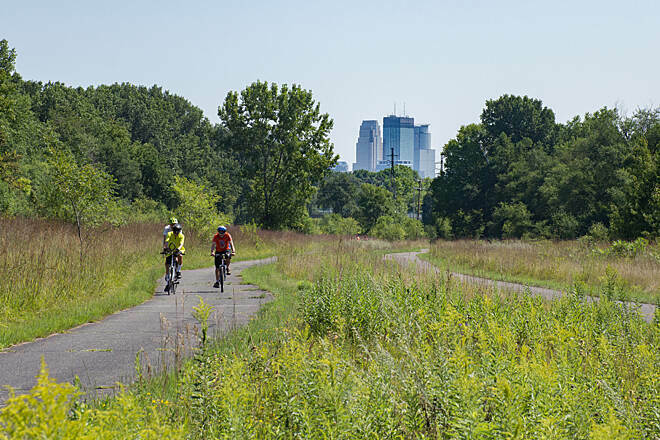 In Minneapolis, the trail, often referred to as the bike freeway, runs under Target Field—home to the Minnesota Twins—and immediately next to its rail station. 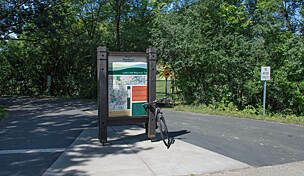 At the trail’s terminus in north Minneapolis, connect to the West River Parkway Trail for a pleasant ride or run along the Mississippi River. In Hopkins park in the lot at the Depot Coffee House. Take I-394 to Exit 3, and follow US 169 4.2 miles south. Take the Excelsior Blvd./County Road 3 exit. Turn left onto Excelsior Blvd. The coffee house will be on your right in 0.2 mile. 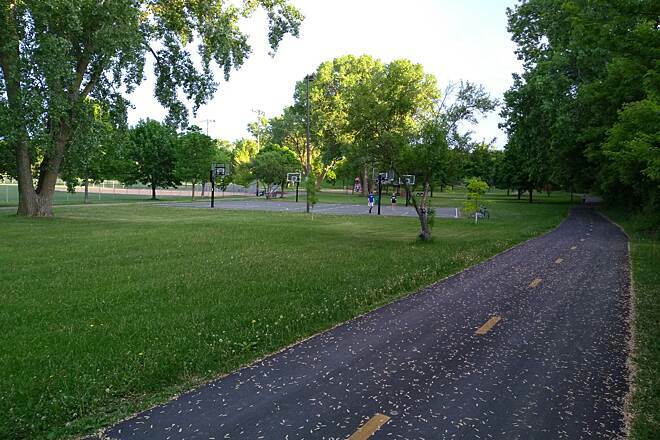 Unofficial parking areas for trail access can be found in Aquila Park on W. 31st St. near Aquila Ave.; just off Virginia Ave. S. at Victoria Lake; St. Louis Park at Nelson and Dakota Parks on W. 26th St. near Dakota Ave.; and at the eastern terminus just south of N. Fourth Ave. near First Bridge Park. Nice trail. Good work out when training for tri sprint - 15 miles from SLP to downtown and back. 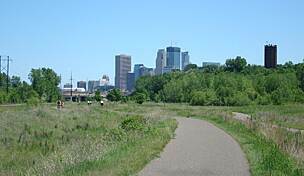 Have taken the trail into the Cities previously, and got to go out to Hopkins in perfect weather. Noticed areas marked for improvement which is a continued plus. Using Google Maps for guidance was a good choice as well. Signal held along route easily. 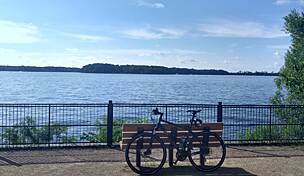 I biked on this trail last summer, I really enjoyed it, I thought the combination of the nature scenery and the city at the end of the trail, by the bridge was unique, will be going this weekend again. 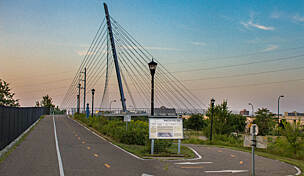 It's paved and it is a good distance for someone new to biking. 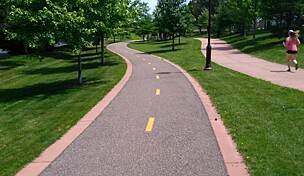 I am also going to try this trail for rollerblading this season. Great ride to the river. 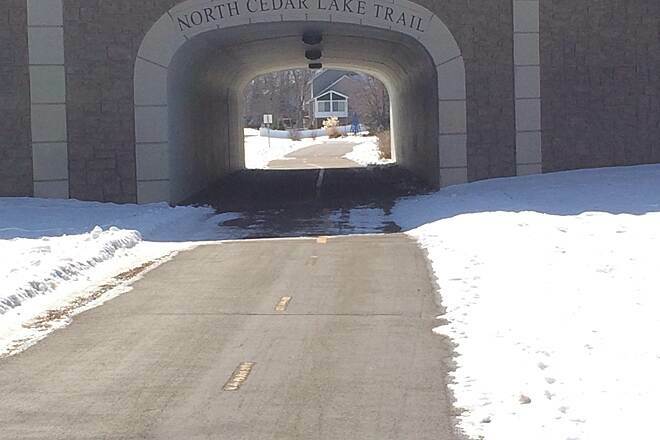 The new extension of the cedar lake trail to the river is complete. Whether you're riding your bike to a twins game, or heading down to the stone arch bridge, the new extension is a nice, level grade, fun ride for the whole family. 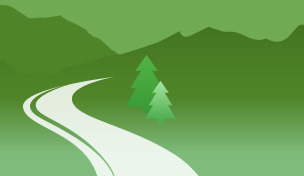 "This trail is mostly flat and the western part is scenic. The eastern side (toward downtown) isn't as pretty, but the trail is in good shape and for part of it the traffic is divided by a grassy center island. 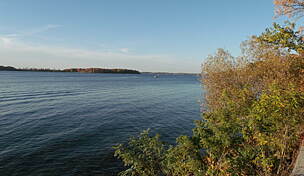 You can also cut over to the lakes and go around Isles, Calhoun and Harriet."